So far bratan has created 55 blog entries. Looks like I completely forgot to upload V2.1 Eagle files to the site. It's now available in the Technical Data section. 2.1 Manual is available now! New manual for V2.1 of Xronos clock has been created! You can download PDF file here. 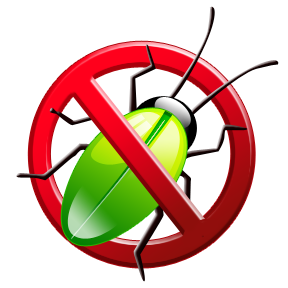 Version 2.06 has just been released with lots of important bug fixes! List of changes: Fixed issue where internal temperature offset was affecting external sensor data as well Added SD card read retry to fix issue with RFM12B and SD Card interference Fixed Infrared Sensor memory allocation error Also I've added links to missing libraries. As usual firmware, source code and libraries can be downloaded from Techncial Data page. 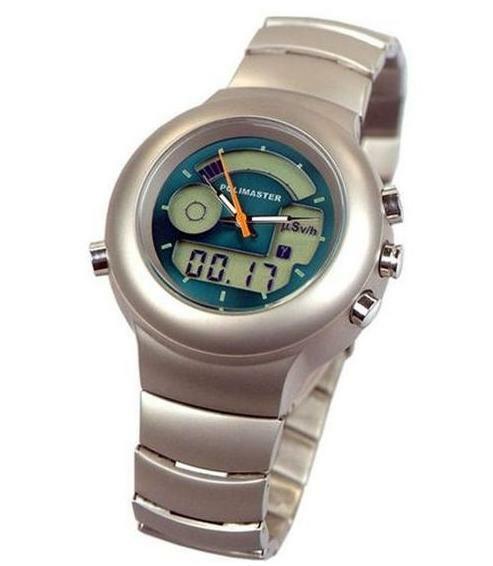 We now offer DIY Kits for Xronos Clocks! What’s the harm in soldering IC backwards? So I've been soldering bunch of Xronos boards in preparation for the Maker Fair, and somehow soldered time chip (DS1307) backwards. Obviously it didn't work, although I had no problem uploading sketch. Then I felt a little heat coming from the board when I was passing my hand over it, and then I touched DS1307... and burned my finger... I'm surprised Chip didn't start smoking :) But what a pain it was desoldering it! Don't repeat my mistake, pay close attention how you orient ICs, electrolytic capacitors and diodes (yes I did diode wrong way too once, with less dramatic results, but it took a while to figure out what was wrong). Latest Firmware version relased. IR and humidity sensor support! I've done some code rewriting since last versions and now ready to present to you Version 2.04 rev 4. 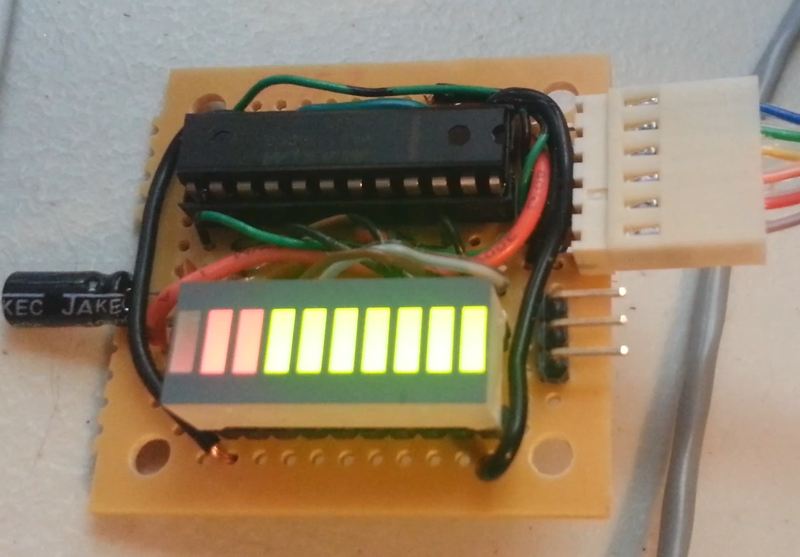 Whats new in this version: Infrared Sensor support (must be commented out if using clock with ATMega644p which doesn't have enough RAM to run it) Added support for external Humidity/Temperature combination sensor data. This includes new menu items, voice announcements and infoscreen scrolling text. Fixed some bugs, improved overall code organization In addition to new firmware I rewrote deployment batch file to make loading firmware easier but using same batch file for all versions of Microprocessor and variations of Xronos clocks. 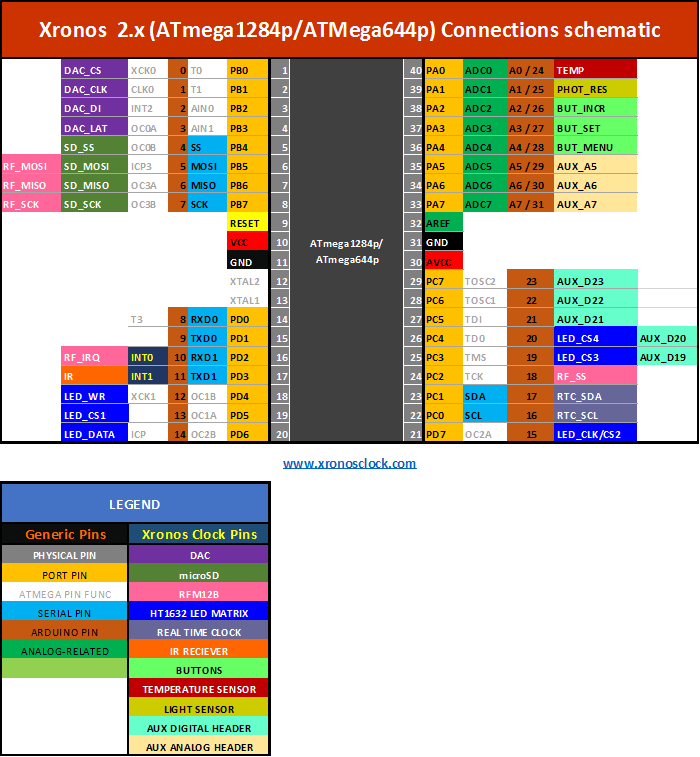 I've documented all pins of the main board used inside Xronos clock and organized in easy to read chart.It can be very useful if you plan to hack your Xronos clock or just use standalone board for your projects! 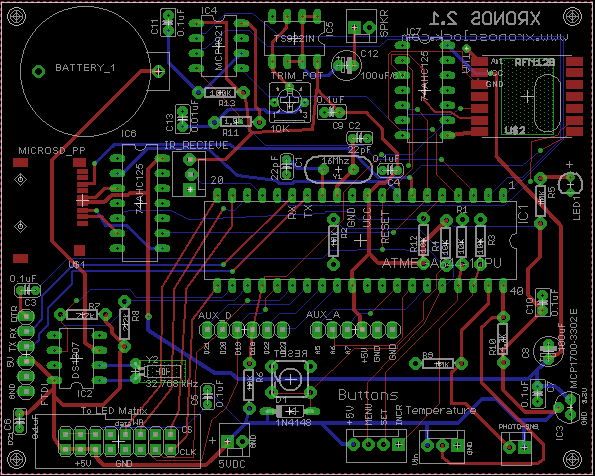 You can download schematic here, or view on the Technical Data page. Kudos for inspiration and pin labeling goes to Felix from LowPowerLabs and "PigHixxx"
See Xronos Clock at Maker Fair in NY Sept 21&22 ! I have great news today! 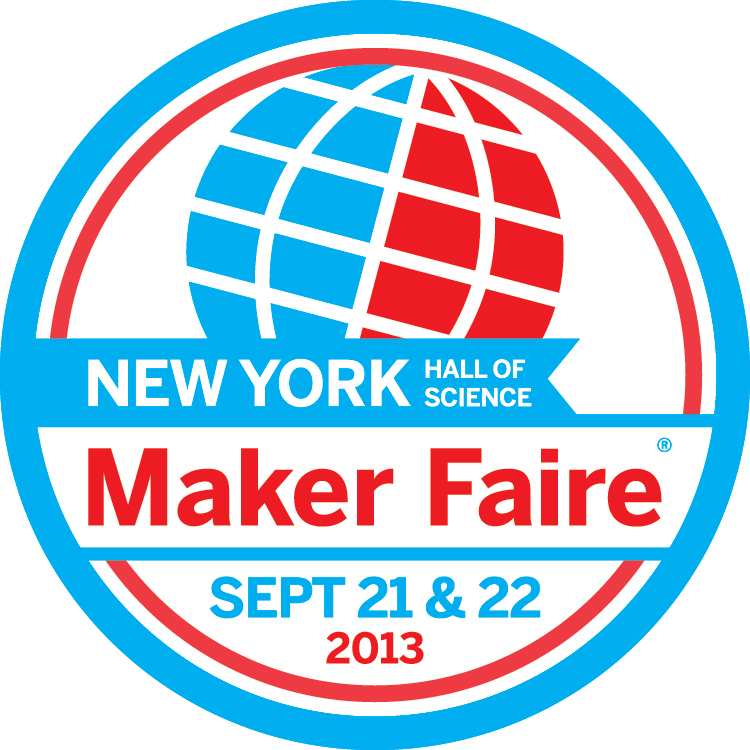 Xronos Clock has been selected to be at New York's Maker Fair this year! Please come and see us at New York Hall of Science in Queens September 21st-22nd (Saturday-Sunday). We will have exhibit where you can see Xronos Clock in action and take a peek at other things like Mega Clock, Audio Guide and more! We'll also have several clocks for sale at a discounted price including DIY Kits!